Urinary tract infection (UTI) is common in children, causes them considerable discomfort, as well as distress to parents and has a tendency to recur. Approximately 20 % of those children who experience one infection will have a repeat episode. Since 1975, 11 trials of long-term antibiotics compared with placebo or no treatment in 1,550 children have been published. Results have been heterogeneous, but the largest trial demonstrated a small reduction (6 % absolute risk reduction, risk ratio 0.65) in the risk of repeat symptomatic UTI over 12 months of treatment. This effect was consistent across sub groups of children based upon age, gender, vesicoureteric reflux status and number of prior infections. Trials involving re-implantation surgery (and antibiotics compared with antibiotics alone) for the sub-group of children with vesicoureteric reflux have not shown a reduction in repeat UTI, with the possible exception of a very small benefit for febrile UTI. 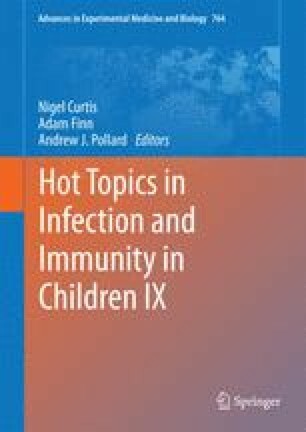 Systematic reviews have shown that circumcision reduces the risk of repeat infection but 111 circumcisions would need to be performed to prevent one UTI in unpredisposed boys. Given the need for anaesthesia and the risk of surgical complication, net clinical benefit is probably restricted to those who are predisposed (such as those with recurrent infection). Many small trials in complementary therapies have been published and many suggest some benefit, however inclusion of children is limited. Only three trials involving 394 children for cranberry products, two trials with a total of 252 children for probiotics and one trial with 24 children for vitamin A are published. Estimates of efficacy vary widely and imprecision is evident. Multiple interventions to prevent UTI in children exist. Of those, long-term low dose antibiotics has the strongest evidence base, but the benefit is small. Circumcision in boys reduces the risk substantially, but should be restricted to those at risk. There is little evidence of benefit of re-implantation alone, and the benefit of this procedure over antibiotics alone is very small. Cranberry concentrate is probably effective.